There is a reason that people say that eyebrows “frame” a face. 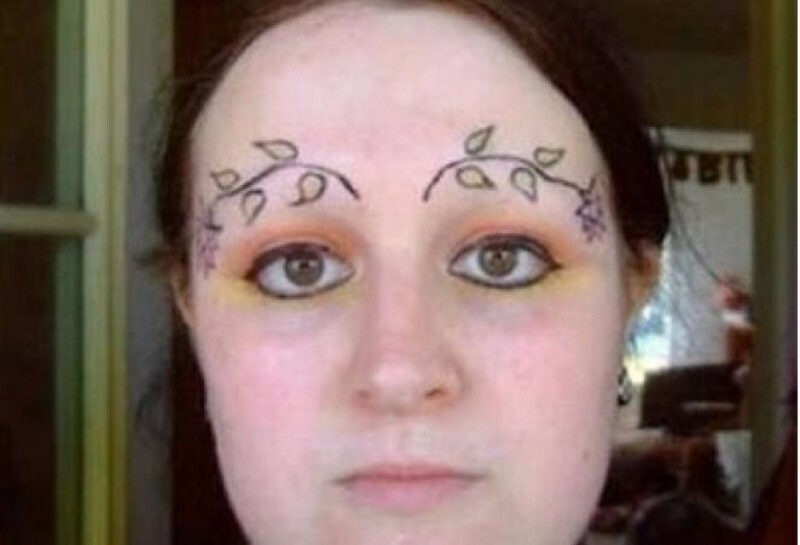 Some people out there get a little… daring, to say the least, when it comes to eyebrow trends. From the ultra-thin look of the 1990s, to Brooke Shield’s lush 1980s brow, to completely drawn on and stenciled – this list has every brow imaginable. Can you believe these styles that women chose for their eyebrows? While we can’t be certain, it definitely looks as though this woman has completely shaved off all of her brows. Whether that’s a tattoo or some handy work with an eyebrow pencil, it’s anyone’s guess. This look is definitely for the wild at heart and probably for someone who doesn’t deal with people much at work. Can you imagine this woman working as a bank teller for instance? Probably not! Either way, this eyebrow queen definitely committed to a look and stuck with it. What do you think actual 1960s hippies would say of her far-out eyebrow look? Groovy!